When it comes to classic FAT bands, NO USE FOR A NAME certainly needs no introduction. NO USE FOR A NAME was one of the first bands on Fat Wreck Chords and remain a cornerstone of the label roster. Their unique take on California punk emphasized equally innovative and catchy melodies, paired with top-flight musicianship. 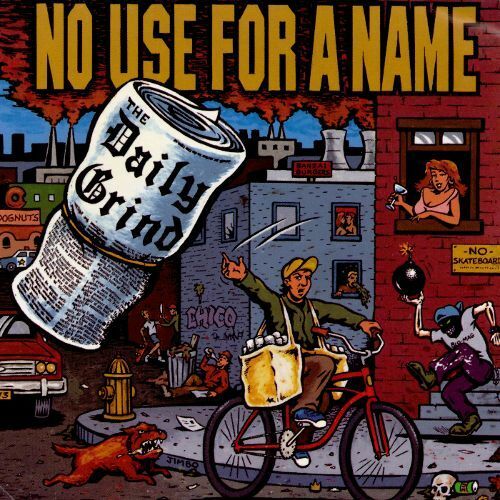 No Use for a Name made the jump to Fat Wreck Chords and arguably arrived with The Daily Grind in 1993. The Bad Religion comparisons are inevitable, but that wasn't exactly a safe route to commercial success when NUFAN formed in 1987. But while the music is fast and furious, it drips with irresistible harmonies, and Tony Sly's lyrics are a thoughtful critique of modern society. Traditionally straightforward punk lyrics mean the meaning won't be lost in metaphor.